I had not planned to go back to school in my 50s. A series of challenging events, including my father’s death and the collapse of US financial markets and what would become the Great Recession, swept over me. Plus, I’d been laid off from a job I needed. In the aftershock, I applied for unemployment, a first for me. I stuffed my embarrassment because our family needed the income to pay the mortgage and keep food on the table. In a meeting with my state workforce counselor, she encouraged me to enroll in the dislocated worker program run by the state’s department of employment. I did not know what that meant, but her advice seemed important to follow. The workforce counselor who guided me also had responsibility for distributing special funds to what she felt were “high potential” workers. It was an exciting offer. And it did not take me long to select an option. While I knew she’d attended Adler University in Chicago and was a psychologist, I understood nothing more about what her statement meant. Around the same time, I’d noticed a banner hanging in front of Adler Graduate School’s headquarters in Richfield, MN advertising a coaching certificate. The offer of resources spurred me to sign up–I wanted to learn firsthand which of Adler’s transformative ideas were at work in me without my knowing it. Story + Mastery = More method and its Four Mores. Since then, I’ve published a scholarly paper on my method in the Journal of Individual Psychology. confidence to continue to be a truth teller. Claim your story and fulfill your beauty! So now, reflecting on my friend’s words that had seemed so mysterious at the time, I understand what she meant. 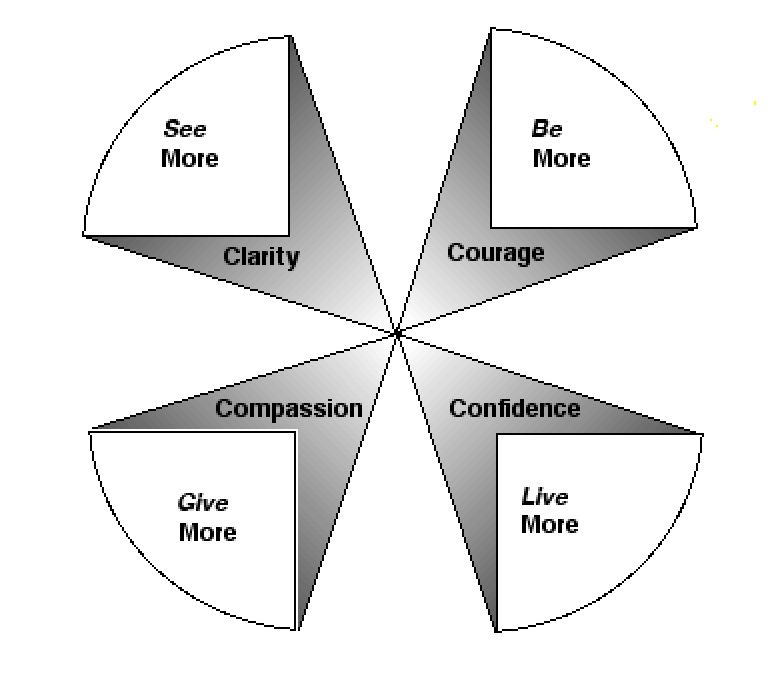 The core Adlerian principles shaped the contours of my unique Storyslices method, which has allowed me to guide organizations and individuals alike in finding their narratives. As my friend had observed so many years earlier, I have been, it would seem, an unwitting Adlerian this whole time. Have you considered the power of the Storyslices C words in your life? Let’s chat, and see what they can do for your path, purpose, and pursuit of satisfaction. I offer small group coaching workshops across the Twin Cities metro area on a regular basis. Contact Catherine for a free half hour consultation and more information.